In my recent article An Open Letter To All Americans Concerned About The Electoral College I warned not to be alarmed by those who don't consider the dangers of direct election. In an email I received about that article, someone stated that the fact that I thought there were dangers to a direct election was "frankly beyond contempt". Since this person emailed me and did exactly what I warned about, apparently I didn't make my point well enough. So I'm going to write a few brief hypotheticals that I hope will illustrate these dangers better than I could state them. This is not a proof that the Electoral College is best, but only an example to show that a direct election is not without faults. 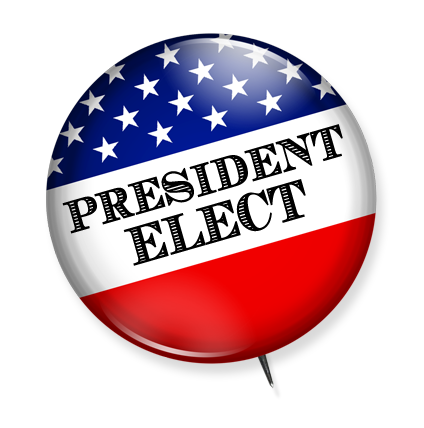 Who is the President Elect? In a direct election, Candidate B wins. His popular vote would be 500,000 votes more than Candidate A. In the Electoral College, Candidate A wins 526-12. The major argument direct election proponents use is that the Electoral College isn't fair. Is it fair for a candidate to only get a majority of the votes in one state, and still become President of all fifty? The total combined population of the 15 states of Alaska, Delaware, Hawaii, Idaho, Maine, Montana, Nebraska, Nevada, New Hampshire, New Mexico, North Dakota, Rhode Island, South Dakota, Vermont, and Wyoming is about 15.5 million. The total combined population of New York City NY, Los Angeles CA, Chicago IL, and Houston TX is about 15.5 million. The smallest of these states, Rhode Island, is about 1,045 square miles in area. The combined area of these four cities is about 1,610 square miles. In a direct election, these four cities would have about the same electoral clout of these 15 states. I'm not saying area and square miles should be factored in, but the people of a single state have wide and varied needs and issues because of their geography. In a direct election people in large cities will be given preferential treatment by the candidates because it will be less expensive and more efficient for them to spend their time there rather than travel throughout an entire state. The major argument direct election proponents use is that the Electoral College isn't fair. Is it fair for a candidate to ignore the needs and issues of several states over those of a single city simply because it's easier on them to do so?